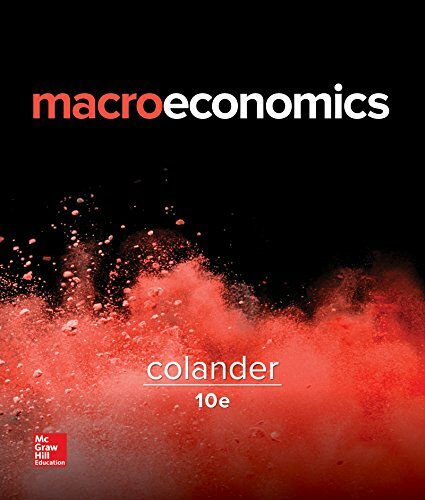 1259663043 -Colander’s Economics 10e is specifically designed to help today’s students succeed in the principles of economics course and grasp economic concepts they can apply in their daily lives. Colander’s trademark colloquial approach focuses on modern economics, institutions, history, and modeling, and is organized around learning objectives to make it easier for students to understand the material and for instructors to build assignments within Connect. Through Connect and Smartbook students will find engaging activities, helpful tutorial videos, and learning resources at that moment of need.